Welcome to Fair Shake, a reentry virtual community center where we can all learn how to fix our broken system together. What do we expect from this system? What would we like to see not only for individuals but also to show the world how well our version of democracy works for building a strong and cohesive society? 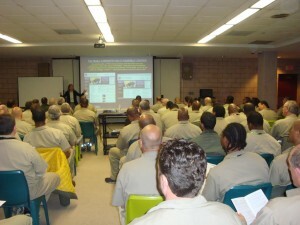 When we think about the slippery slope of crime (“but for the grace”), and a person’s capability to learn, change and grow as they mature in age, it is not difficult to imagine a person who shifts their perception, values and knowledge while they are incarcerated toward personal growth and community engagement. Many of our incarcerated do just that and hope to create an opportunity to give back to the community. Since you’re reading this page, you are not in prison. I posted it after our most recent batch of free software went out. 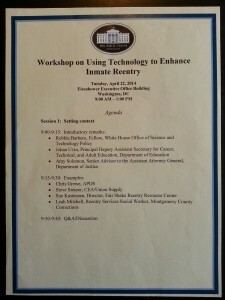 When you explore the website, I hope you will keep in mind that thousands of incarcerated people are able to see the entire website – except for the things that were added since Sept 1st or the interactive tools like creating a personal webpage or storing digital work…but they will be able to search through the Resource Directory or practice their computer skills. They can see the contributions of incarcerated individuals peppered throughout the website and, know that they can contribute, too. Most prisons provide incomplete reentry support, but they also don’t see preparing people to make the transition home as their job. Their job is security for all involved, which leaves reentry wide open for discussion! Contractors have rushed in peddling evidence based interventions and data collecting that have not brought about significant lasting impact, but they are better than nothing. Educators do their best within extreme budgetary constraints but their main work is to encourage people to get a GED so the philosophical, civic, wellness and personal and social studies that would really help reentry into SOCIETY does not get addressed. Prison, in case you are not aware, is where people who have a felony conviction and a sentence of more than one year of incarceration will go. It’s quite different from jail. The culture is quite unique and both the incarcerated and the staff can develop a consistent culture and routine. After several years of living in such a constant lifestyle, transitioning back to our busy and digitally connected lifestyle, making quick decisions and taking on our responsibilities can be difficult to prepare appropriately for. 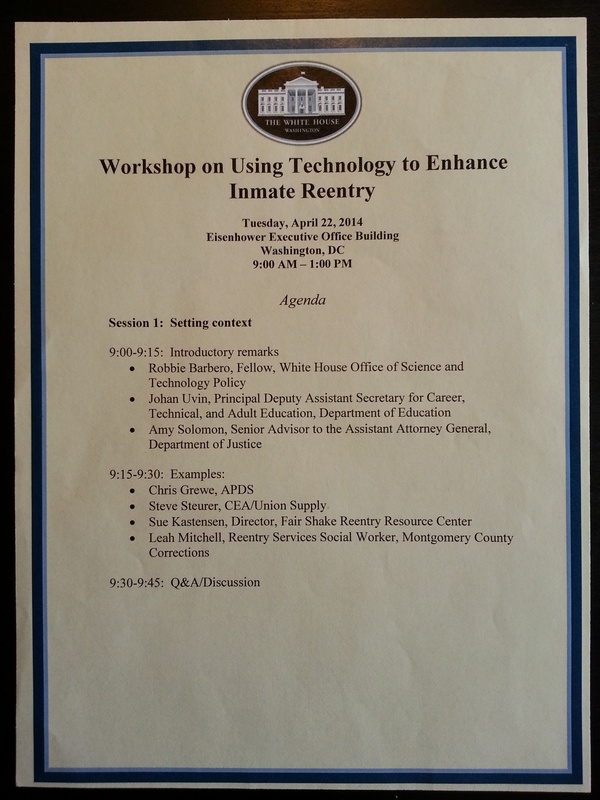 And are the other reentry stakeholders appropriately prepared for reentry? People like employers, property managers, community members, friends and partners need to explore and discuss how we can learn to evaluate and develop trust in their applicants, neighbors and close relations. Fair Shake aims to be a center where citizens can work on this issue together…which is the only way it can work at all. We will make a major repair to ‘the system’ by making sure people have tools and information, and also the ability to continue to learn! Please peruse entire website. 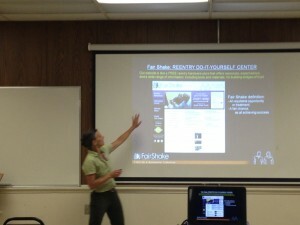 Hover over the menu items on the left to see our ‘reentry community center’. The Resource Directory is free and so is everything else, including the software, It’s important to keep Fair Shake free so that every has access to it. I hope you will share your thoughts about your experience! And If you believe that what has been created here has important value for prisoner reentry, I hope you will consider supporting this work. Fair Shake is 100% community powered. President Obama reminded us that our criminal justice system is “broken”. Now we must ask ourselves: Who can we trust to fix it? Except for some model exceptions, our state and federal prisons do not adequately prepare the 600,000+ people who return to society every year. (More than 95% of those who are incarcerated will come home.) Without the proper resources, tools and information, many will not be successful. In fact, even though prisons have applied more than two decades of ‘evidence-based’ interventions, still more than 75% of those who were released from prison between 2005 and 2010 returned to prison. Clearly, we need a radically different approach!! Fair Shake exists to stop the recidivism ‘revolving door’ by freely providing the essential resources, tools and information needed by reentry stakeholders. 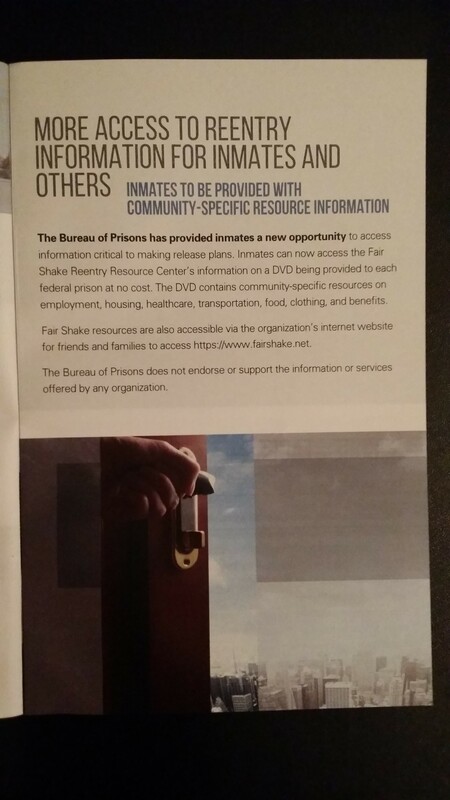 Fair Shake has created a huge Reentry Resource Center – available both online and in a software application that can be used inside America’s prisons – to ensure our citizens have access to vital information both before they leave prison and once they are back in the community. Fair Shake is the home of our nation’s largest Reentry Resource Directory where we offer free and sliding-scale resources (with no strings attached). We have employment information (for both applicants and employers), housing information (for renters and property managers), and a Reentry Packet filled with information to help people prepare to leave prison. We offer information about starting a business, engaging in education, addiction recovery and special support for veterans, elders and those with an impairment. More than half of our incarcerated citizens are parents, so we also offer resources for child care, family counseling and transportation for children and families to visit loved ones in prison. We communicate with creative and thoughtful folks inside who are working hard to demonstrate they are ready to fully embrace a ‘second chance’. 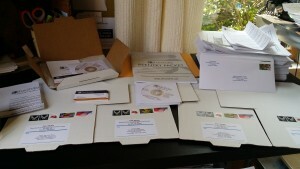 We share information, reflections, questions and responses through a newsletter…and also by traveling around the country offering free presentations….conversations, really…to not only share what we offer, but to listen to what people are looking for and answer questions about the software. Why is everything available for FREE? Money can limit opportunities and exclude people from participation. Money gets earmarked for special interests and agendas. Fair Shake believes everyone should be free to reach their full potential to engage fully in a satisfying life…and when people live satisfying lives, they will not go back to jail. We have no special interests; we are 100% committed to freedom and success for all. We must do this – together – with those who make the transition. That is how democratic citizenship works; and this is how we can create safety and security in the land of the free. And this is why we need your support. We have figured out how to do a lot of heavy lifting so you don’t have to…but we need your help to provide the FREE tools and information that will support your future neighbors, colleagues and classmates. Together we can have a big impact! 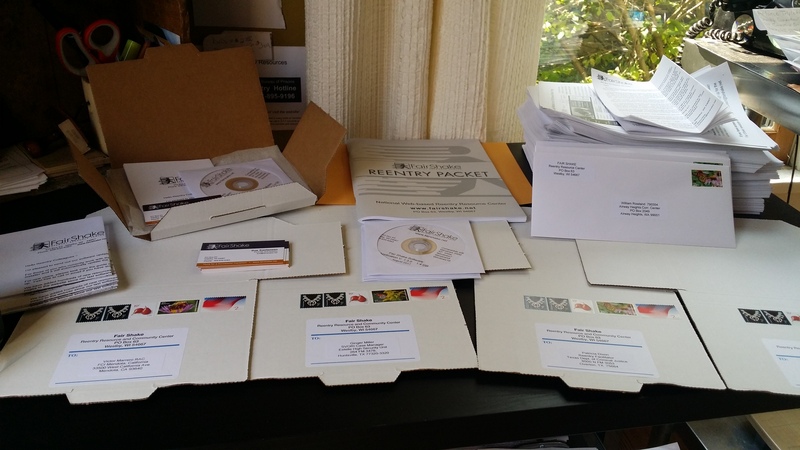 • FREE software (updated annually) to our nations prisons and jails. The software looks and works exactly like the website. • FREE access to the RESOURCE DIRECTORY for everyone; no ‘referral’ required! • FREE ‘Office in the Cloud’ for everyone who comes home which includes a free email account, data storage and a personal web page. • FREE support for all stakeholders, including the formerly and currently incarcerated, family and friends, employers, property managers reentry professionals and community members. • FREE School! A curriculum to help anyone free themselves from the constraints of roles and the status quo to feel the full power of agency, confidence,and ubuntu that should be included in education at every level. We ALL deserve a fair shake. We hope you will join us in building strong and safe communities. UBUNTU is a sub-Saharan philosophy that recognizes the interdependence of life. There was an anthropologist who had been studying the habits and culture of a remote African tribe. He had been working in the village for quite some time and the day before he was to return home, he put together a gift basket filled with delicious fruits from around the region and wrapped it with a ribbon. He placed the basket under a tree and then he gathered up the children in the village. When he told them to run, they all took each other’s hands and ran together to the tree. Then they sat together around the basket and enjoyed their treat. The anthropologist was shocked. He asked why they would all go together when one of them could have won all the fruits for her or himself? UBUNTU is the philosophy that guides Fair Shake.